Making fresh yogurt at home is simple, green, and economical. Once you've tasted tangy, creamy home-made yogurt, it may be difficult to load your shopping cart with store-bought varieties. All you need is a half-gallon of milk, a heavy-bottomed pot, a food thermometer, and some yogurt culture. 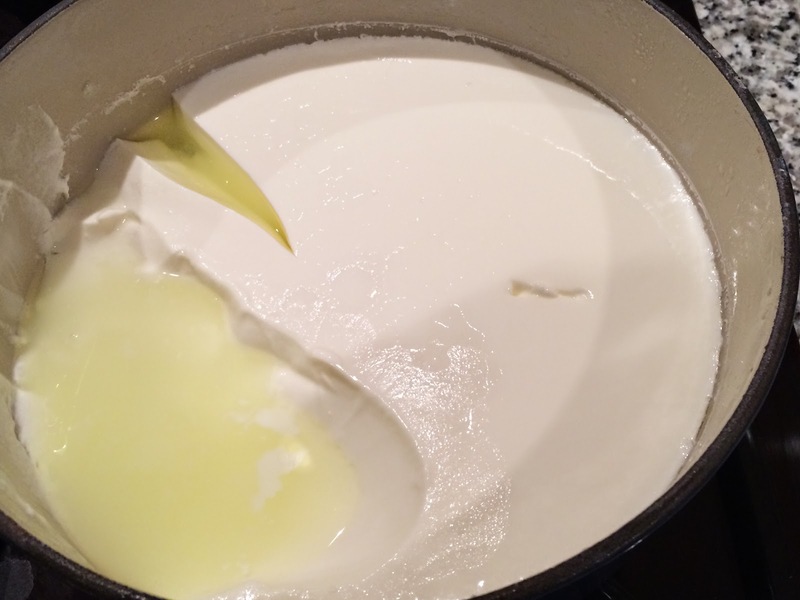 There are several commercial yogurt makers available, but I've recently switched to a simple, one-pot method that tastes better and results in creamier yogurt. OPTIONAL: Electric yogurt maker, such as the Yogourmet. I used this for many years, but it requires pouring the milk mixture from the pot into the yogurt maker, resulting in spillage. The benefit is that once the yogurt is ready, it can be stored in the Yogourmet container. Thermometer: I highly recommend the Yogourmet yogurt thermometer because it has a hook that enables attachment to the pot while the yogurt is cooking. This is enormously helpful, since the most important factor in making yogurt is attention to the rising and falling temperature (more on that below). Pour the milk into the pot and turn heat to a low setting so that the milk does not scald. Just after pouring the milk into the pot, mix in the powdered milk, using a wooden spoon. Stir gently until all clumps dissolve. Attach the thermometer to the edge of the pot. Gently heat the milk mixture until it reaches between 170-180 degrees fahrenheit. When ready, the milk will begin to froth around the edges. Cool the yogurt to between 110-120 degrees fahrenheit. To achieve this, the pot may be placed in a cold water bath, or set on top of ice cubes in a sink. Add the powdered yogurt starter or reserved 1/2 cup yogurt to the milk mixture, stirring slowly. At this point, you may add vanilla flavor, or honey. I prefer to flavor the yogurt after it's made, which allows the person eating it to chose a flavor for each portion they eat. If using an electric yogurt maker, you'll now have to pour the mixture into the inner container. Follow package instructions. Otherwise, do not transfer the yogurt mixture. Simply place a lid on the the pot and place it in an oven with the pilot light or electric light on. I have an electric oven, and the light provides just enough warmth. The yogurt will need to incubate at about 100 degrees for about 7 hours. The longer the incubation period, the more firm and more sour the yogurt becomes. The warm milk is undergoing fermentation, which imparts all sorts of nutritional benefits. Remove the pot from the oven, or other apparatus, and refrigerate for several hours to allow the mixture to fully gel. The yogurt is ready to eat! Add fresh jam, fresh berries, honey, vanilla, or your favorite flavor. Greek yogurt surged in popularity in recent years, due its creamy, smooth texture and flavor-packed density. 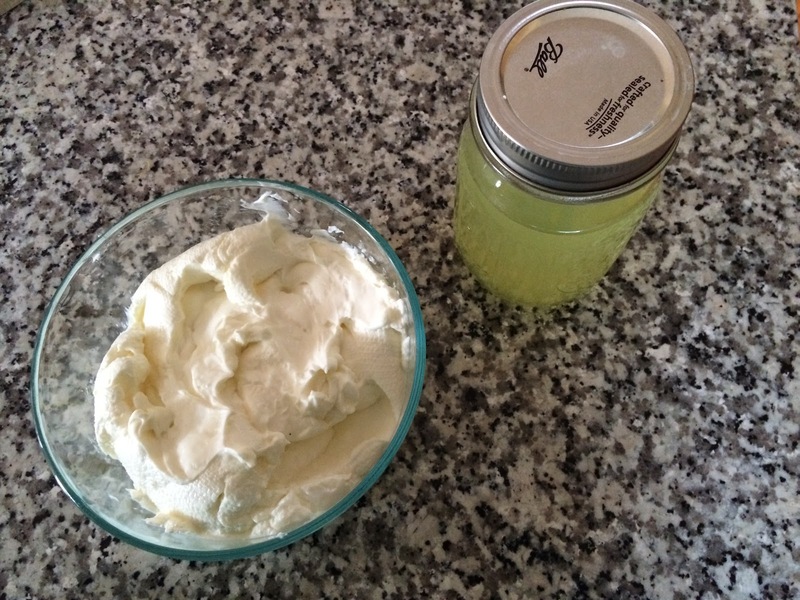 It's simple to make Greek-style yogurt by straining the whey from fresh yogurt. Place the colander over the large pot. 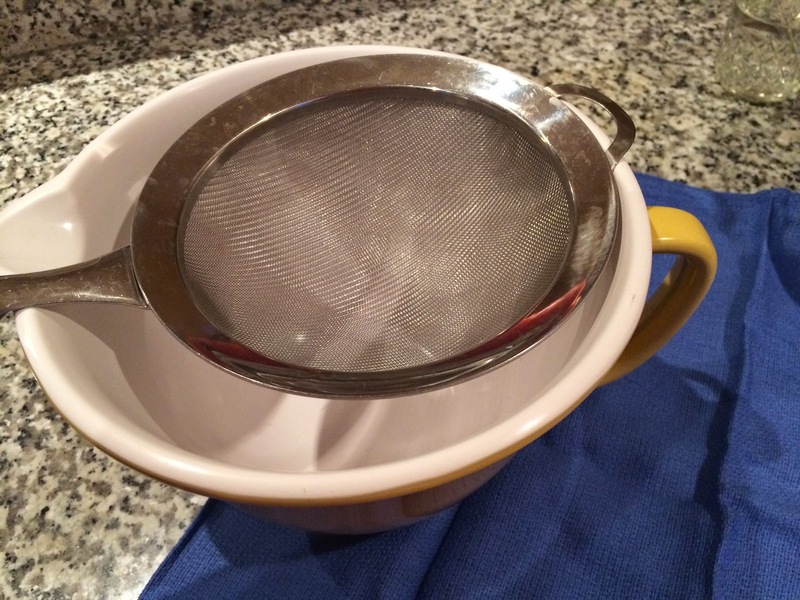 Line the colander with the cheese cloth. Place the fresh yogurt in the cheese cloth. Cover the yogurt with plastic wrap and place it in the refrigerator for about 5 hours, or longer for a thicker consistency. 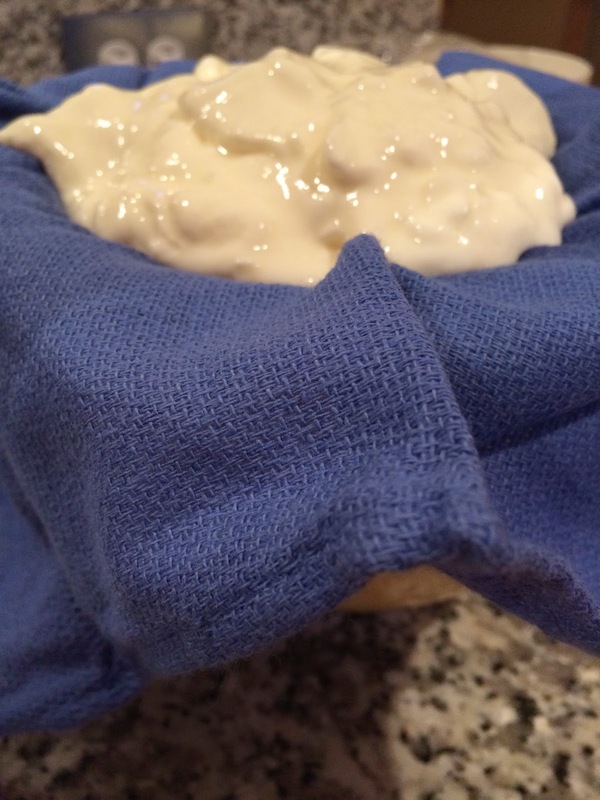 Remove the yogurt from the cheese cloth and place it in a storage container. For cheese spread, add a t. salt, fresh herbs, or lemon. For Greek-style yogurt, flavor as you wish! Reserve the whey in a glass container and refrigerate for up to 6 months. Whey can be used to pre-soak rice, beans, or other grains, or as an ingredient in pickling. I cannot wait to try this healthy option and stop buying plastic containers. 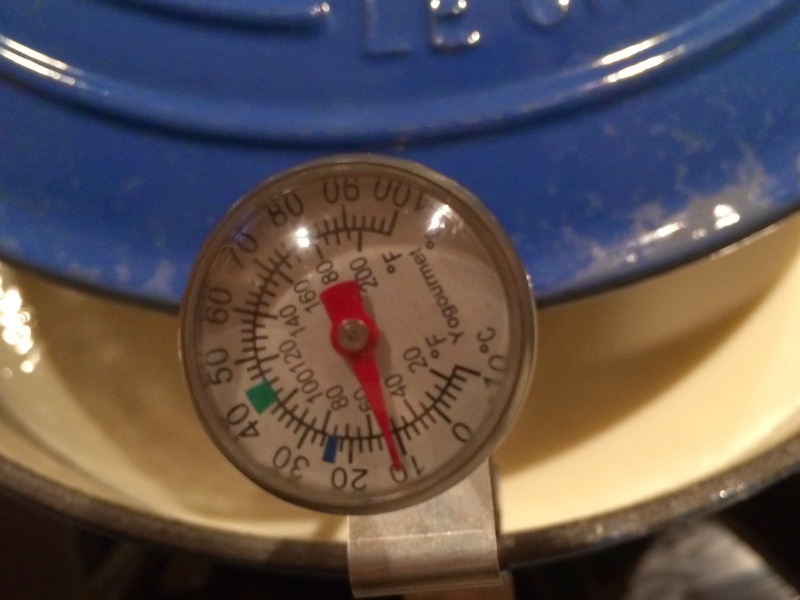 How do I incubate the yogurt with a gas oven that has a low temp of 200•?